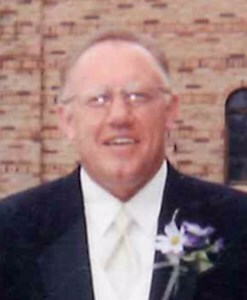 Newcomer Family Obituaries - Victor Allen Poskarbiewicz 1955 - 2019 - Newcomer Cremations, Funerals & Receptions. Victor Allen Poskarbiewicz (Al Posky), age 63, passed away on April 4, 2019. He was born on September 12, 1955 in Toledo, Ohio to the late Victor K. and Mary J. Poskarbiewicz. Al enjoyed fishing and boating, especially on Lake Erie. He loved football and was a die-hard Ohio State and Cleveland Browns fan. Al was a painter and dry-waller by trade. He liked listening to Classic Rock and spending time on the Gulf Coast. Al is survived by his children, Marc (Jean) Poskarbiewicz, Mary (Joseph) Castillo, Emily (Clark) Baker and Melissa Poskarbiewicz; sisters, Debra (Ray) Meyer and Diana (Marvin) Malik; grandchildren, Marcella, Joe, Chloe, Connor and Anna; former spouse, Peggy Poskarbiewiecz. The family will receive guests on Saturday, April 13, 2019 from 2-8:00 p.m. at Newcomer – SW Chapel, 4752 Heatherdowns Blvd., Toledo (419-381-1900). The Funeral Service will begin at 11:00 a.m. on Sunday. The family requests memorials be made to: World Wildlife Fund. To leave condolences for Al’s Family, please share a memory. Add your memories to the guest book of Victor Poskarbiewicz. My memories of Al start with sleepovers at the Poskarbiewicz household. Peggy was gracious enough to allow all the girls to have friends over simultaneously on many occasions. Al would come home, and step over, or on (haha) we girls sprawled on his living room floor while mumbling under his breath about all these kids, but then graciously shared breakfast with us in the morning. His sisters also became a part of my life and my now husband Tim and I along with Mary and Joe even went to Florida with Deb and Di as young adults. As young men, Al took my brother Ricky and husband Tim along with Marc to help him with various jobs and helped teach a good work ethic....and the value of "some good &%# visquene"! Most importantly, my warmest and clearest memory of Al is hearing him sweetly call Melissa "PeeWee". I know these last several years have been anything but easy. I am thankful that Al can now rest. I can't remember if we were going fishing or helping with a paint job, but we were in the old station wagon listening to James Taylor and the Doors. Marc and I were really young-- somewhere between 10 and 13 I'd guess. For whatever reason the memory of just hanging out in that station wagon and listening to old tunes together has stuck with me. Al was always warm and friendly with me whenever I saw him. I'm sorry for your loss and what everyone had to endure. RIP Big Al. My condolences to the Poskarbiewicz family. I did not know Victor well, but he raised four outstanding children. They were outstanding students and each has become outstanding adults. There is no better legacy. I AM SORRY ABOUT THE LOSS OF YOUR LOVED ONE.MAY KIND THOUGHTS AND CHERISHED MEMORIES SUSTAIN YOU IN YOUR TIME OF SORROW AND BRING YOU SOME MEASURE OF COMFORT. My thought & prayers are with you. I am sorry I cannot make it at this difficult time. I will be there in spirit. Al is now at peace and doing what he loves to do. All my love and hugs, Janet?????? Dad Posky/Papa Al, we’re going to miss you. We find peace knowing that you’re suffering has finally ended. You sure gave it one heck of a fight. I commend you on being so strong. It’s been over 21 years since I showed up attempting to take Emily’s hand as a punk 14 year old. You met me sternly and called me a few choice names, (as a protective Dad should). You allowed me a chance though and through time, dare I say, I earned your respect. Somewhere in there after showing that I was supporting one of your 3 beautiful Daughters the best that I could, you started calling me Mr. Baker and shook my hand every time we’d say hello or goodbye. I’ll miss that most of all. You made me feel like I was being a good provider and acknowledged our mutual love for Emily. I’ll carry on and do all that I can to be there for our family as life goes on. I have some pretty good memories to smile about, when I remember you, you’ll be missed Al Posky a.k.a. “The Twins Dad.” Keep a look out for us!